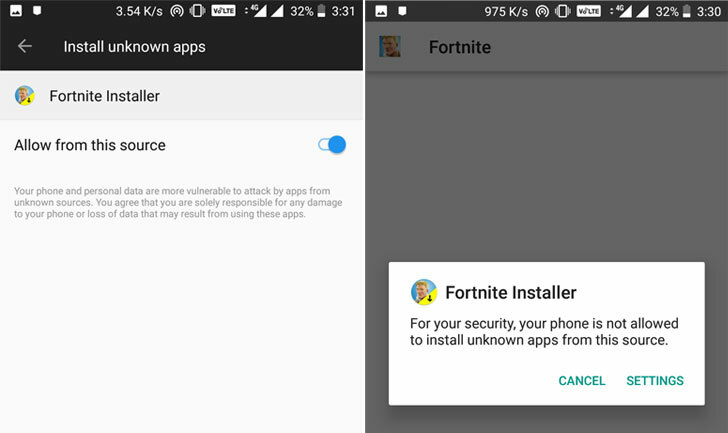 So, if you see something on the Play Store or on the Internet that claims to be Fortnite APK, just skip it. It's almost certainly malware, spyware, or other potentially dangerous software that could end up infecting or taking control of your Android phone. Before beginning, make sure your smartphone can handle the game because it's a heavy game. You can find a list of officially supported Android devices here. 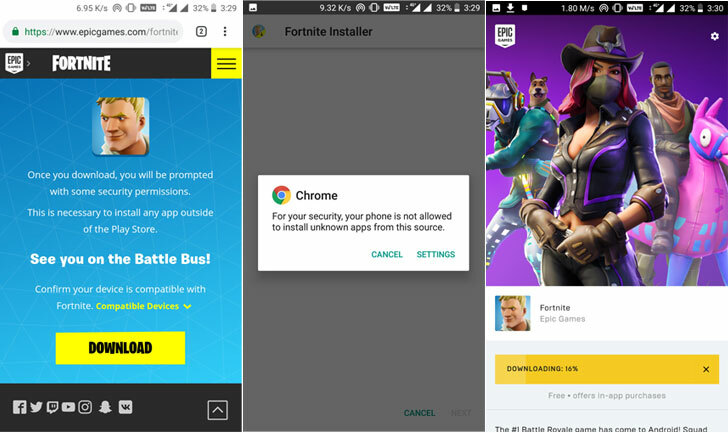 From there, you can download the Fortnite Installer, either from Samsung if you are using a Samsung device or from Epic Games. 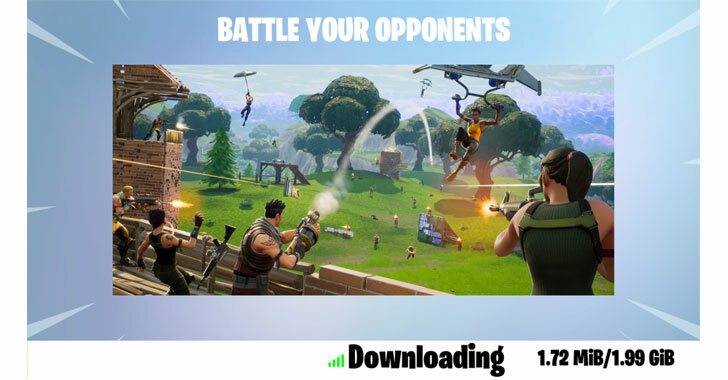 Pull down the notification panel and tap the download link when it's finished. Here's where the process awaits. To install the game, tap the Settings button. This will open the Settings menu, where you need to allow apps to be installed from unknown sources (aka "sideloading"). 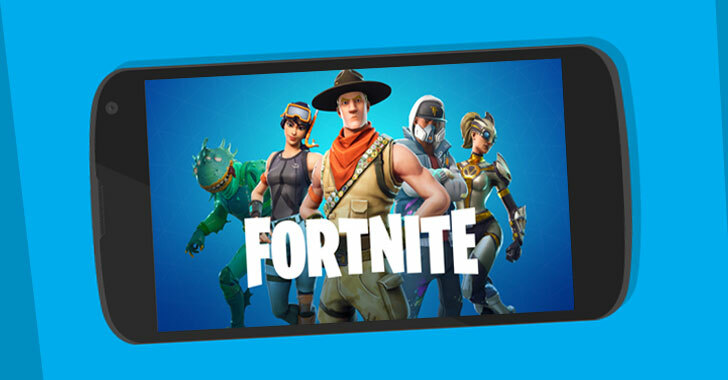 Fortnite will launch, but you are not finished yet—the game will ask you to download another gigabyte of the file to download on its first launch. Once that's completed, you will be ready to play Fortnite.